BOSTON – Kyrie Irving and the Boston Celtics will play host to LeBron James and the Cleveland Cavaliers at TD Garden on Wednesday night and you can stream the action live on WatchESPN. 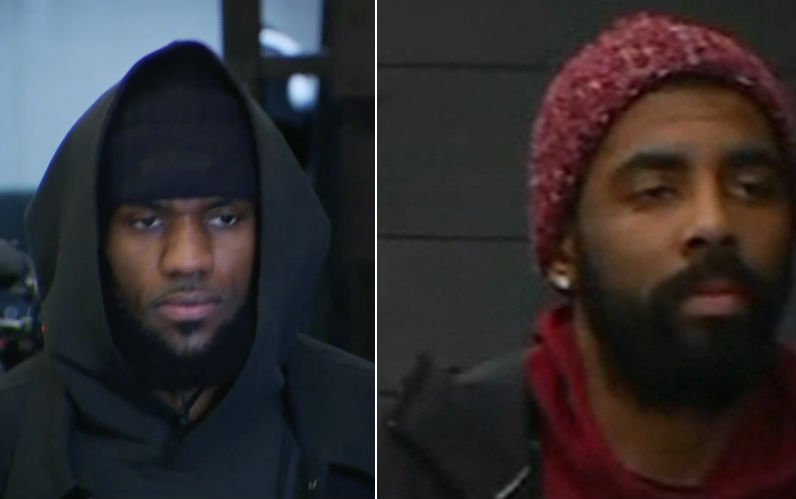 The night’s clash, which tips off at 8:00 pm ET and televised live on ESPN, will see former Cavs teammates Irving and James battling for the second time since Kyrie left the Cavaliers, but former Boston guard Isaiah Thomas will not feature. Thomas made his long-awaited debut in smashing style against the Portland Trail Blazers on Tuesday night after being out for seven months due to an injury. However, Cleveland has decided to rest its starting point guard as he continues to work on his fitness. When the Celtics and the Cavaliers met in the regular season opener on Oct. 17, James had 29 points and 16 rebounds for the Cavs in a 102-99 win. Come tonight, Boston will be aiming to return the favor on their home court, as Irving and his teammates hunt their fourth successive win. Entering this game, Irving is averaging a career-high 24.8 points, while James is also putting out career-bests 27.7 points, 9.2 assists and 8.1 rebounds per game, while playing almost 31 minutes a game. James, one of the early leading candidates for the MVP honor this season, is ranked third in scoring and second in assists per contest this term. As a team, the Cavaliers are fifth in points per game with 110.5. Boston is scoring 103.5, but is allowing 98.5, which is second in the league behind the San Antonio Spurs.